The function of your oesophagus (gullet) can be checked with three different tests. These tests done in the Physiology Laboratory. You may need to have one or more of these tests depending on your individual problem. For acid reflux , most people will need to have manometry and 24 hour pH study. For achalasia, only manometry is needed usually. Manometry is the measurement of the movement (motility) and pressures created by the muscles of the oesophagus (gullet). 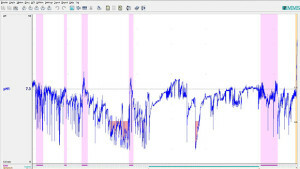 High resolution manometry (HRM) is the modern manometry technique to show the complex functional anatomy of oesophageal peristalsis and the gastroesophageal junction. Manometry is done is an outpatient procedure. A catheter (about the thickness of a shoe-string) is passed through your nose into your oesophagus. The test takes about 30 minutes. The pH study measures details about the amount of acid that refluxes from the stomach into the oesophagus (gullet) over 24 hours. A pH probe (about the width of a shoe-string) is passed through your nose into your food-pipe. It is left in place for 24 hours. The probe is attached to small monitoring unit that you can wear on your belt or around your shoulder. This unit records measurements of acid reflux. 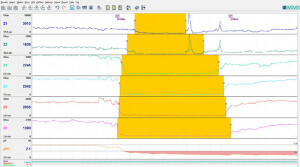 The information is then downloaded onto a computer and analysed using special software. The pH test is done as an outpatient procedure. You can go home with the probe and you will have to return to the laboratory on the next day. Impedance (also called Multi-channel Intra-luminal Impedance or MII) is a special study to analyze the movement of liquid in the oesophagus. It can be done along with manometry or pH study. Impedance testing can be helpful in cases where the diagnosis is not clear by manometry or pH study alone.